Perhaps you might have heard of Liberty gun safe and now, you’re interested in getting one. 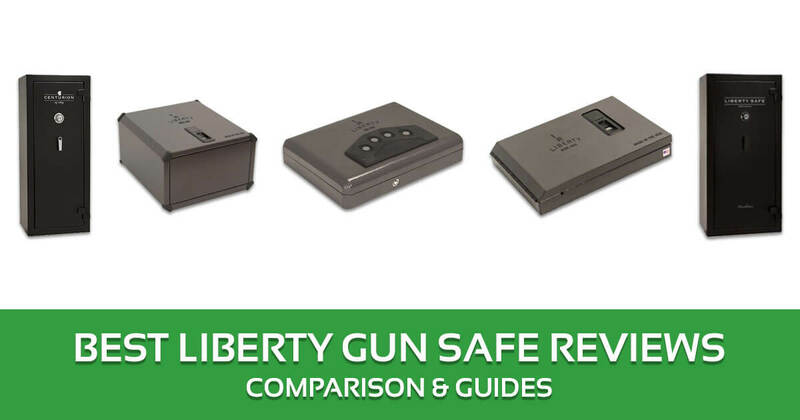 You should read Liberty gun safe reviews first before you buy one so you’ll know which model is right for you. Whatever Liberty gun safe you buy, you can be assured of the quality of the gun safe that you are getting. The brand, after all, is known as one of the top makers of gun safes around the world. While not exactly affordable, Liberty gun safes provide value for money. You can be assured that a gun safe with the Liberty seal can hold up against pry and drill attacks of burglars. Moreover, Liberty gun safes can keep your weapons away from your children’s reach. 4 Where are Liberty Safes Made? The products I picked in this review are can be categorized into two groups. There are safes in this review which are designed for storing 1 to 2 handguns. These are compact, lightweight, and portable safes that you can even place under your car seat. The other type of safe I mentioned in this review can accommodate long guns. There are two safes in this review that are specifically designed for storing rifles. All these safes, however, are fire resistant. These safes can resist fire for up to 30 minutes. The locking mechanism, however, varies in this review. There are safes here that have a biometric finger scanner, which I am a fan of. There are also safes which make use of the traditional keypad lock mechanism. These safes are ideal for gun owners who are still used to imputing digits in a keypad to open a safe. All these safes, however, are all reasonably priced. I assure you that you’ll get your money’s worth regardless of the unit you buy. If you own just one gun and you keep it mainly to protect your family in case of an attack, your major concern is getting it in the soonest possible time, right? After all, you need to be quick to the draw so to speak if you are to repel an attack. With this biometric safe, it is possible to get to your weapon in a second or even less. You simply have to swipe your finger into the door and the safe automatically opens. What I like best with this Liberty biometric gun safe is that it can capture up to 15 fingerprints. That really doesn’t mean you can let other people swipe their fingerprints into it, but instead, it increases the likelihood that the locking mechanism will recognize your fingerprint. This safe also gets good reviews for its durability and design. This could be the best Liberty gun safe right now. The door of this gun safe is made of heavy-duty, 14-gauge steel. It has built-in, anti-pry tabs that are designed to resist pry attacks. It’s almost impossible for burglars to open this safe. Installation should not be much of a concern as there are mounting holes on the bottom of this unit. It is not that heavy, too, so you should be able to take the DIY route in installing it. As mentioned earlier, the biometric finger swipe technology used in this safe is arguably its major selling point. Most reviewers on Amazon.com, in fact, say that this is the main reason they bought this safe. And most of them are happy with the performance of the locking mechanism. You would be hard pressed to find a reviewer who says the locking mechanism fails to open when he swipes his hand into the door. The consensus among Amazon.com reviewers is that the biometric safe works consistently. They say the door should open in a second or so. Once you open the door, you’ll see that there’s a light inside the safe. Again, this is a great feature especially at night. With a lighted interior, you will be able to see your weapon and quickly draw it. This is an entry-level gun safe that I can recommend to gun owners who have a limited number of weapons. It is also ideal for gun owners who aren’t inclined to pay a lot for a gun safe. Being an entry-level gun safe, this unit doesn’t have the bells and whistles of other gun safes. But I can assure you that it can get the job done, so to speak. This safe called Flex lives up to its name. Inside it are removable shelves so you can adjust the storage depending on your requirements. Despite being an entry-level safe, this unit is fire resistant up to 30 minutes. While this isn’t the most secure of gun safes, I think burglars would have to be extra strong and clever if they are to forcibly open this safe. And did I just mention that this is a very affordable safe? This may look like just a big box but when you open the door, you will see a top shelf that is fixed in place. This shelf is good enough for placing several long rifles. The said shelf isn’t the sturdiest so I don’t really recommend that you put all your rifles here. It may eventually collapse if you do so. The lower section meanwhile has two parts. One half is spacious enough for your long guns. The other half, meanwhile, has shelves where you can put your ammo and scopes. But the good thing about those shelves is that these are removable. So yes, you can get rid of those shelves if you want to put more long guns inside. This safe has a height of 59.5 inches, a width of 28.25 inches, and a depth of 22 inches. It is colored black. It weighs around 350 pounds. While this safe isn’t the sturdiest in this list, I found its door to be well aligned. It’s made of decent gauge steel as well. However, I found some of the shelves to be not of the best quality. Then again, this is an entry –level safe so I wasn’t really surprised. Despite being an entry-level safe, this one is fire resistant for up to 30 minutes. There is a seal that expands up to seven times its size in case of fire, protecting the valuables inside the safe in the process. This safe is very similar to the model I discussed earlier. It’s also a compact safe that is designed to hold one or two handguns with ammunition. And like the Liberty 9G HDX-250 Smart Vault Biometric Safe, the HDX-150 has a biometric finger swipe technology that can let you access your safe in one second or less. The only difference I can tell between these two safes is that this one is slightly more lightweight. There’s no denying that the biometric technology is the main selling point of this gun safe. With this safe, you simply have to swipe your finger in the scanner. It automatically opens the door, so you can get hold of your handgun in one second or less. This unit has two power options. It can be plugged into the optional A/C adapter, or powered by a battery. When the unit is plugged into the A/C adapter, users say that the door is able to open faster at around 1 second. When it is powered by battery, it would take around 1-2 seconds. Of course, that may sound trivial to most people. But every gun owner knows that every second, and even split second, matters in a life and death situation. Still the consensus among reviewers on Amazon.com is that this biometric safe is very reliable. They say that it is a lot better than a keypad, where you could fumble and input the wrong codes in the event of an attack. Similar to the Liberty 9G HDX-250, this safe is capable of storing up to 15 fingerprints. You can thus have your spouse input her fingerprints, so that she can also get your gun in case someone attempts to break into your house. 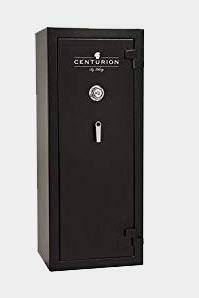 This safe is made of heavy duty 14 gauge steel. I am confident that burglars won’t be able to open this safe easily thanks to its reinforced latch system. Because it weighs just 10 pounds, this safe can also fit in your car. It is also compact enough to fit in a nightstand. You can also bolt it to a solid surface as it comes with bolt down holes. This safe is really designed for storing just one handgun. I’ve read reviews saying two handguns can fit inside, though. If you’re not quite confident that a biometric finger swipe would work well during an emergency, or you are simply more at ease in using the traditional key combination, then you might want to check out this quick vault combo. While I am more inclined in using a biometric gun safe, there are gun owners who are still more comfortable inputting a code in a keypad. Obviously, the Liberty Safe handgun vaults quick vault combo is ideal for them. They say that this Liberty smart vault is easy to set up and simple to operate. It is also a compact gun safe that you can place in your car, insider your cabinet, or under your bed. This is a very portable and compact safe that you can use at home. You can place it inside your drawer, or nightstand, or closet shelves. This one may be compact but it is tough as a tank. It is made of 16 gauge steel. Despite its sturdy steel construction, this safe isn’t that heavy at around six pounds. With that weight, you can also place this in your automobile. This isn’t the most spacious safe in this list as it is only designed to hold 1 to 2 handguns. Depending on the size of your weapon, you can also store other valuables like wallets, cash, and passports in this safe. There’s also LED lighting inside the safe, which is very helpful especially if you are to draw your weapon at night. For those who are not used to safes with fingerprint scanner, the good ole keypad of this safe presents a more viable and reliable option. If there’s one thing I like with this safe, then it has to be the fact that there’s no sound when you input your codes. This is very important especially in an emergency situation. You don’t want an attacker to know that you are drawing your weapon, which can occur if there’s a sound coming from the keypad or safe. Many reviewers on Amazon.com also say that this safe is very easy to set up. Perhaps this is a reason why a lot of gun owners still opt for a keypad safe because they don’t have to get frustrated with misreadings of fingerprint scanners. This is almost the same as the safe that I mentioned in number 2. However, this safe is designed for storage of 18 long guns while the other unit is for 24 long guns. Like the other safe I mentioned earlier, this gun safe is basically an entry-level storage for long guns and hand guns. The features are very limited, but the advantage is that the price is very affordable. Yet as you would expect from a safe made by Liberty, this unit is fire resistant. It can protect your weapons and other valuables against fire, as long as the exposure to flames won’t last beyond 30 minutes at a temperature of 1,200 degrees Fahrenheit. Despite being an entry level safe, this unit is still pretty sturdy and strong. It is made of 14 gauge steel. It doesn’t have the thickest of bodies, though, with just a .75 inch frame. However, this one has been designed to resist pry and drill attacks by the criminal elements who would attempt to open it. Getting your weapons inside should be easy as the door opens at 180 degrees. There are no removable shelves in this gun safe, so you’re pretty much left with what is left of the storage in this safe. However, with a capacity of 18 long guns, this safe should have enough room for your hand guns, ammo, and scope. It can also accommodate other valuables such as jewelry box and cash. There’s also no interior lighting in this safe, which isn’t surprising as it is really an entry-level unit. Nor does it have a humidity control. But the interior is fully carpeted, so your weapons should be free from scratches and dust. This may not rank as the best among the Liberty Safe Handgun Vaults mentioned in this article, but due to its low price you can’t blame a lot of gun owners if they choose this one. Sensitive, delicate and valuable goods in our possession ought to be stored in a manner that they are safe and secure. Failure to adhere to this will lead to dire consequences such as the goods being in the wrong hands or even being used for the wrong purposes. Guns, weapons, and ammunition form part and parcel of the sensitive and delicate goods that require extra caution to handle. The need to secure and store guns together with ammunition is the necessity that triggered the invention of safes inclined towards securing goods of that nature. One of the most renowned and classy safes used to secure guns and ammunition are the Liberty Gun Safes. This safe came into the market through Liberty Safe and Security Products Company which was founded in the year 1988. The mastermind behind these safety storage gadgets is one Jay Crosby who is an engineer by profession. At its inception, the company could only produce six safes in a day. Today, the company that is situated in Payson, Utah has increased its output capacity to 320 safes in a single day. Top in the list for the best-produced safes by the company is the Liberty 9G HDX-250 Smart Vault Biometric Safe. Where are Liberty Safes Made? Liberty Safes are made in Payson, Utah which is found in the United States of America. The company covers quite a huge area which sums up to 23 acres. Payson is the company’s headquarters. One of the best brands out there, Liberty gun safes are an industry benchmark. 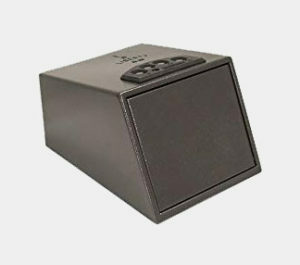 Though the company sells other safes, its gun safe line is one of the most respected out there. There are several advantages to getting a Liberty gun safe. Here are a few of them. Liberty has a gun safe for every need. Ranging from their large Liberty Fatboy safe to the slimmer Lincoln gun safes, Liberty has a gun safe for you. All of them feature 12 gauge steel as their main material and have solid locking mechanisms. They are sure to protect your firearms from any intruder or danger. A Liberty can also have a lot of accessories to personalize the experience. These range from a Liberty gun safe door organizer to handgun hangers. Depending on what you store in your gun safe, Liberty has the accessory ready to meet your needs. Even the Liberty Centurion can withstand a 1200 degree Fahrenheit fire for 30 minutes. This is thanks to 3 layers of fire protection in its ceiling and door. That is just the minimum. The Presidential line of Liberty safes lasts for 2.5 hours in the punishing flames of a fire. That is durability at its finest. Speaking of the Presidential line, this particular Liberty product gives you a lot of chances to customize. Starting with its size, buyers can choose colors, locking mechanisms and more. A Liberty gun safe is a great piece of equipment, but it can get even better. This done through proper maintenance and use. 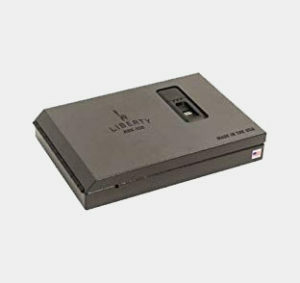 There are a wide variety of Liberty gun safe accessories available. One of the favorites is is the door panel organizer, which allows for you to place more items behind the door of your safe. Another favorite product upgrade for a Liberty safe is a dehumidifier. Enclosed spaces have a tendency to produce moisture and this can be bad for your guns. With a dehumidifier, it ensures that moisture does not buildup inside your safe. This stops your guns from rusting. Besides upgrading your safe, you should know how to properly use your Liberty safe. This includes knowing how to close and lock it properly. Liberty safes have three choices for a lock. They can either be combination lock, electronic lock, or a biometric lock. Remembering the combination is an essential part of using these safes. If you do forget the combination, you can contact a locksmith or the manufacturers for some help. Knowing how to use a piece of equipment is just one part of owning a Liberty safe. You also need to maintain it properly. First, you need to regularly clean your safe. Dust and dirt do not make a good impression on people. Fortunately, Liberty Safe also sells dusters to remove any dust that accumulates on your safe. They even have dust covers to ensure your safe gets adequate protection. Second, you will need to oil the hinges regularly. This ensures your safe doors open smoothly. 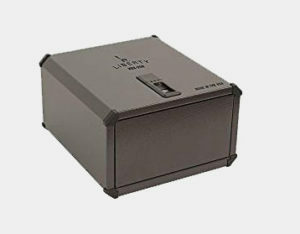 Liberty safes have an upper hand and are often used in households due to their relative sizes when compared to cannon safes that are mostly used in the offices for large organizations for safe storage of guns, weapons, and ammunition. 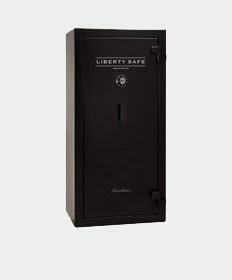 Liberty safes stand out when contrasted with stack on safes simply because liberty safes have advanced security features which makes them a bit expensive while stack on have merely basic protection features making them very affordable. Liberty safes nevertheless give you value for money. Liberty safes are more flexible and portable due to their relative sizes and the material used to design them. Fort Knox safes are however very heavy making them less flexible and less portable as the material used in the manufacturing process is of high density. What Sort of Liberty Safe Should I Get? Fortunately, Liberty safes are all good quality. You’ll mainly choose your safe depending on how many guns you want to store. A Liberty 12 gun safe is just as good as a Liberty 24 gun safe. The only difference is the size. What Are Some Essential Accessories to Buy? Your safe will be a lot cleaner if you buy a dust cover for it. It’s pretty cheap and you just place it over a chest. Other great upgrades are for the interior. You will want to buy a dehumidifer and a few lights to ensure everything is find on the inside. How Do I Open a Safe if I Lost the Key/Combination? Contact your local locksmith or, better yet, your local Liberty safe dealer. They should be able to help you regain access to your safe. How Tough are These Safes? They are very tough. Liberty used 12 gauge steel to make them, ensuring that they can take a lot of punishment. Definitely. With headquarters in Utah, this company employs over 500 people to make some of the best gun safes out in the market today. I am very confident that you will not regret buying any of the models I mentioned in this article. However, you may ask me—which model is the best in this list? Without a doubt, the Liberty 9G HDX-250 Smart Vault Biometric Safe is the best in this field. Sure, it can only accommodate 1-2 guns. But I have to give high marks for its advanced biometric technology which can assure that you’ll get your weapon 99.9 percent of the time. Also, it’s compact and lightweight which you’d want from a safe for 1-2 handguns. Plus, it has an interior lighting. This model clearly is the best in this Liberty gun safe review. Liberty Gun Safes have always been my favorite. Having gone through the Liberty Safe Re24-bktf Revolution 24 Flex Gun Safe, I not only liked its interior and quality standard but also the fact that it is fire resistant. In addition, I didn’t know as much as I like it isn’t the sturdiest gun safe neither doesn’t it have a mechanical locking system. Thanks to the informative details.